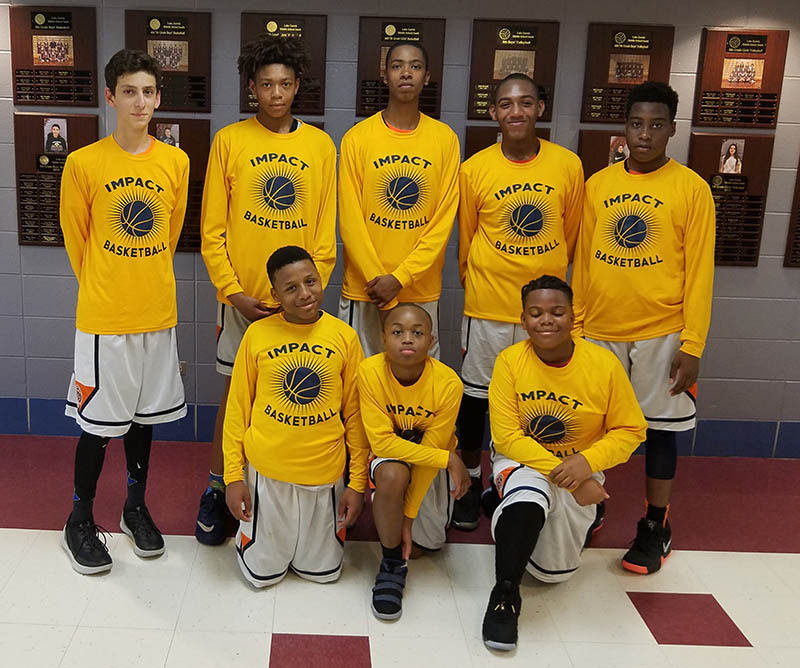 The Impact Program offers girls and boys travel basketball teams during the seasons of Spring/Summer and Fall. We compete at different levels in local tournaments in the Chicagoland area, including AAU tournaments. Our basketball teams practice two nights per week in Spring/Summer and one night a week in the Fall Season. Practices are held in the Oak Park Area. We compete in area local tournaments on weekends either on Saturdays or Sundays. Our basketball teams play in more tournaments than most other programs. In addition, coaches may ask players to play in additional games during some of the tournaments. This provides even more opportunity to play and gives our program's youth the potential participate in 30 to 40 or more games. The Impact Program has a 2 tier system for it's basketball teams. There are the Standard Travel Teams and Elite Travel. Few team programs offer this unique inclusive feature. From broad level development to fine honing a top player; we have a team that fits. This give our players the incentive to work hard as we are able to promote our players to a higher Standard Team or to our Elite Teams if they show the ability to perform on a higher level. The Coaches and Directors decide which Tier a player will be on using evaluations that are not solely based on points score. Instead, they include considerations such as handling defensive pressure and playing defense as well as game IQ. Coaches and Directors will continue to evaluate the players during clinics, practices and at tournaments to ensure their placement is appropriate for their skill set and understanding of the game. Elite Teams will play in AAU style Tournaments and season could last instill mid-July. Spring / Summer Tryouts are February 17 - 22. Late tryouts for Spring / Summer Basketball Teams is held until April 1st. Fall Tryouts are August 15 - 22. Late tryouts are held until September 1st. Tryouts are $15.